In 2010, Gisele Marasca-Vargas had to close her graphic design and publishing company and file for bankruptcy (mostly due to the 2008 economic crisis). She lost her home in the process and had to practically start from scratch. She got a temporary job at the U.S. Census Bureau and went through a phase when she was feeling lost and confused about her next steps. At a certain point, she realized that she needed to reinvent herself. During her years as a graphic designer and publisher, she had worked on the side as an “energy healer”. She felt that the challenges she had gone through were a sign from the Universe that it was time to change the course of her life -- to find her true path. Gisele decided that her “on the side” work was going to become her main career and life path. “That’s when I started researching schools from all over the country for a degree in energy healing and other holistic practices. I was attracted by the AOS degree in Holistic Health Care (Concentration in Mind-Body Transformational Psychology) that Southwest Institute of Healing Arts (SWIHA) offered. I was also very intrigued by the fact that it’s very rich curriculum included Hypnotherapy and Life Coaching. The facts that SWIHA offers online programs and is nationally accredited by ACCET and is recognized by the U.S. Department of Education sealed the deal,” shared Gisele. ‘This little piggy went to market, this little piggy stayed home’ is a rhyme we hear as children, playfully explaining the significance of each toe. While the elementary explanation may be a little nebulous, the concept that each toe represents something is true from the point of view of reflexology. Reflexology is a natural healing art based on the principle that there are reflex points in the feet, hands, and ears which directly correspond to every part and organ of the body. Through application of pressure on these reflex points by a skilled practitioner’s hands, along with the use of tools, lotions and aromatherapy, tension and dis-ease can be relieved or eliminated. Practices resembling reflexology can be traced as far back as 2450 BC to ancient petroglyphs on the walls of an Egyptian tomb. In fact, Hippocrates, the father of modern medicine, wrote about the curative effects of this modality. In more recent times, Dr. William H. Fitzgerald, an ear, nose, and throat doctor, introduced this concept of ‘zone therapy’ in 1915. With ‘zone therapy’ the body is divided by vertical lines into five zones on the left side and five zones on the right side of the body. These zones relate to all parts of the body within each zone. The fingers and toes affect corresponding parts of the body and are the primary areas of treatment. 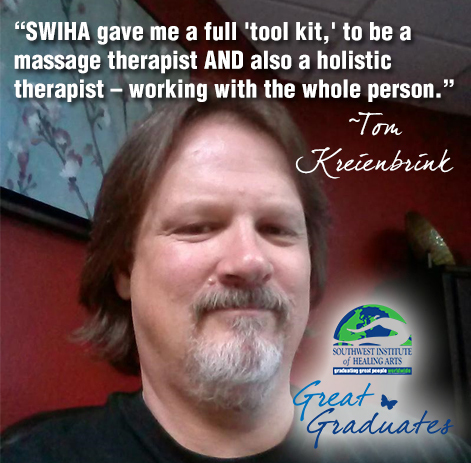 Tom graduated with his Associates of Occupational Studies Degree in Holistic Health Care – with a concentration in Mind-Body Transformational Psychology. The programs he completed with his degree included the 750-hour massage program, a Certificates of Excellences in Myofascial Energetic Massage, Transformational Reiki, Cranial Unwinding, Reflexology, and Hypnotherapy. 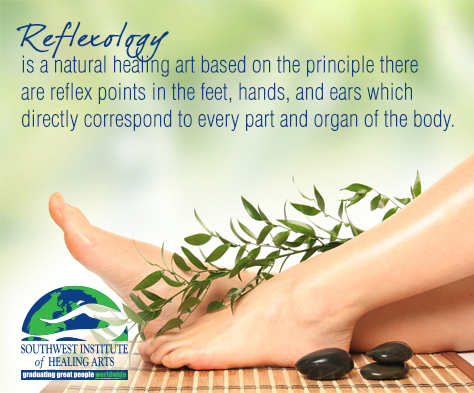 The roots of reflexology date as far back as ancient times. A non-invasive, complementary practice, reflexology involves the use of thumb and finger techniques, applying alternating pressure to reflexes. It is a clothed technique limited to the feet, the hands, and the ears. According to the Arizona Reflexology Association (AZRA), these reflexes match up to different parts of the body, also referred to as “maps,” located on the feet, hands, and outer ears. 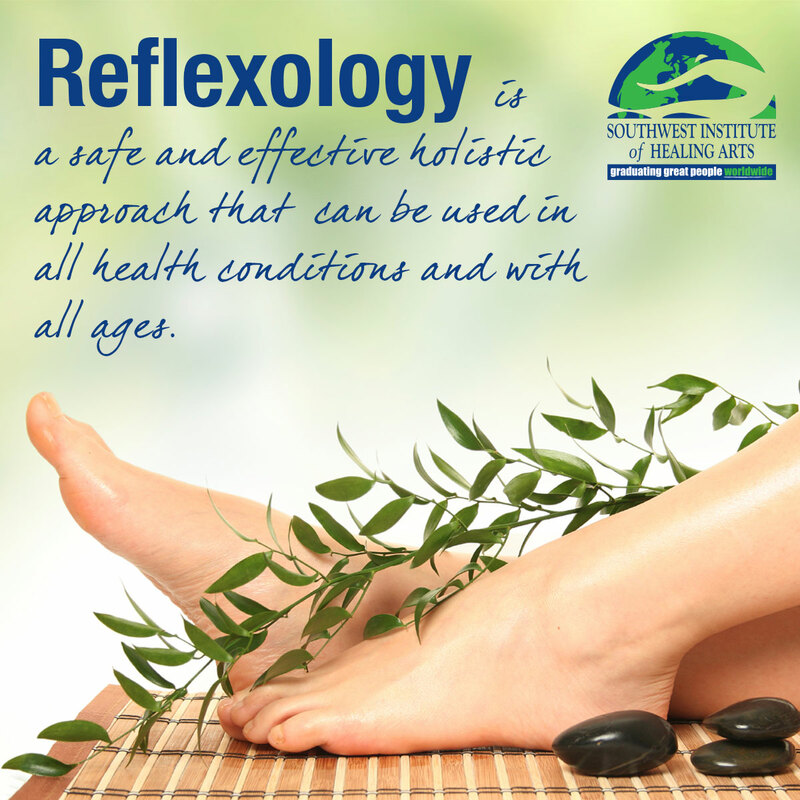 Over the last century, reflexology has become fairly main stream due to diligent study by medical doctors and surgeons. Dr. William FitzGerald and his student Dr. Joe Shelby Riley created Zone Theory, a basis for reflexology. (See Fact 1 for details about the Zone Theory.) A physiotherapist working with Dr. Joe Shelby Riley, Eunice Ingham, documented organ reflex areas that complemented the Zone Theory. When Ingham saw the positive impact of reflexology on the clients in their practice, she chose to share her findings and the techniques of reflexology throughout the United States and Europe. Her teachings are the framework for the current teachings of reflexology today!